Do you have a skiing or snowboarding problem? Do you always take “just one more” run? If you answered “yes” to either of these, it may be time for a Wintervention. Narrated by skiing icon Jonny Moseley, Warren Miller’s Wintervention is the definitive solution for the snow-obsessed. Wintervention takes riders like Chris Davenport, Jonny Moseley and Lindsey Vonn on a global tour of Alaska, Norway, Canada, Antarctica and beyond… delivering a successful Wintervention for all of us in need. Warren Miller films attract a cult-like following and mark the official start of winter for sports enthusiasts everywhere. Warren Miller premieres are an experience, a party and a phenomenon not to be missed. 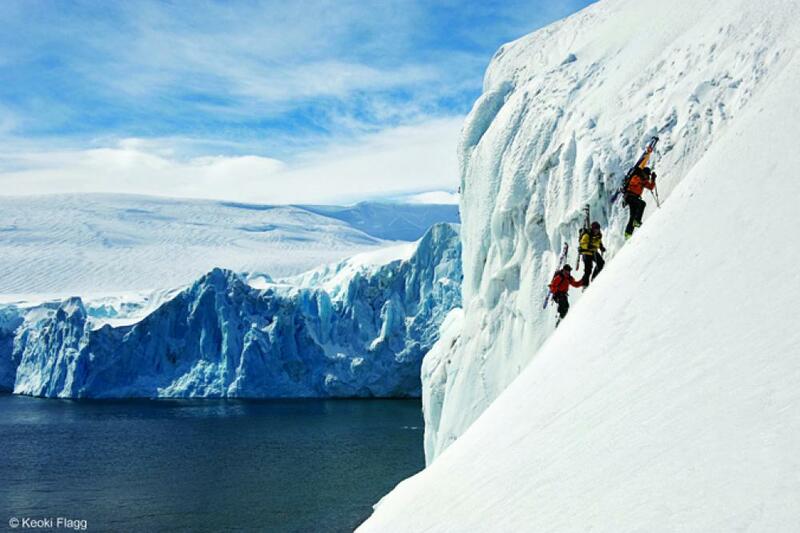 John Morrison, Andrew McLean, and Kip Garre make their way up in Antarctica. And if you’re closer to Boulder, you can catch the documentary up at the Boulder Theatre starting tomorrow, Sunday November 14th.